FAIRCHILD Semiconductor, represented by Arrow Electronics , has announced the introduction of a new optically isolated error amplifier, the FOD2742. Its performance, including tolerance as low as 0.5%, and small size, make it ideal for compact power supply and converter applications. The FOD2742 joins the FOD2712, FOD2711 and FOD2741 as the fourth member of Fairchild’s family of optically isolated error amplifiers, which offer designers a selection of reference voltages, tolerances, isolation voltages, and package sizes. The FOD2742 incorporates an optocoupler, precision reference, and error amplifier into an 8-pin small outline package to provide isolated voltage feedback between the secondary and primary sides of power conversion circuits for control and regulation purposes. 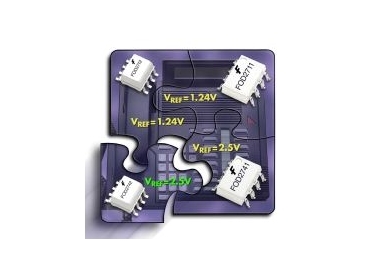 This single component solution, and choice of reference voltage tolerances (0.5%, 1%, and 2%), allows engineers to optimise both space and performance to meet their specific power design requirements. Designers first should consider using the FOD2741 or FOD2742 error amplifiers, which are the functional equivalent of a Fairchild KA431 shunt voltage regulator and a CNY17F-3 optocoupler, and offer a low temperature coefficient of 50ppm/°C max. Fairchild’s new FOD2742, available in an SOIC-8 package, should be considered for applications where space is limited. The FOD2712 or FOD2711 is the best option when a lower reference voltage is necessary. All four amplifiers may be used in conjunction with a Fairchild power switch (FPS) and other Fairchild devices including MOSFETs, power factor correction (PFC), and diodes to simplify power supplies and dc/dc converters. The FOD2742 has UL, CSA, VDE and BSI safety agency certification, and the 8-pin white, small outline package is available either in tubes of 50 units or in tape and reel packaging with a 500 unit (option R1) quantity on a 7-inch (178mm) diameter reel and a 2,500 unit (option R2) quantity on a 13-inch (330mm) diameter reel.